New home shoppers. 30% of the new home shoppers in our recently completed 2018 Consumer Insights survey prefer a modern exterior style, and 36% prefer a modern interior style. 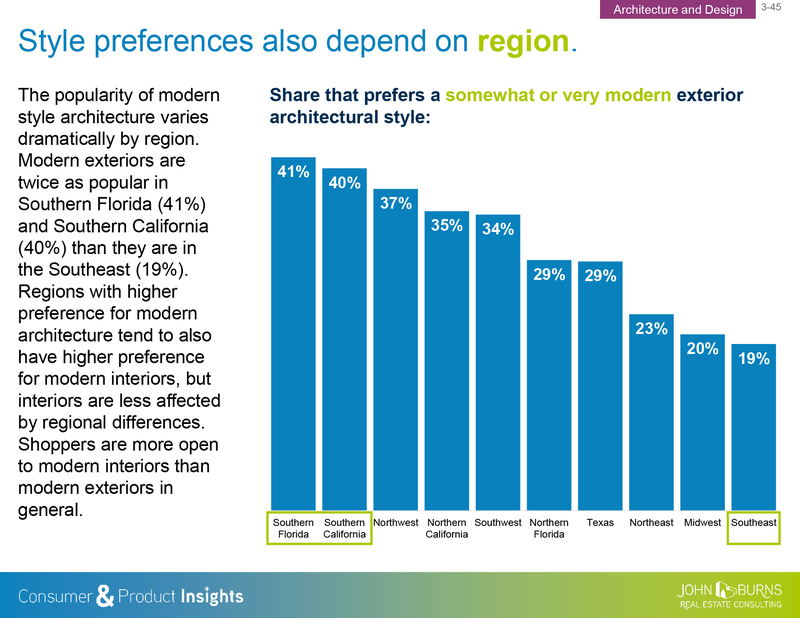 New home shoppers in Southern California and Southern Florida are more than twice as likely to prefer modern exteriors as new home shoppers in the Midwest and Southeast are. New home designs. Around 35% of the 72 innovative new home communities featured in DesignLens™ in 2017 offered modern exteriors. The percentage increases to around 40%–45% if we include modern interiors. Market experts. Our geographically diversified consulting team, who visits hundreds of new home communities each month, notes strong sales at many communities with modern floor plans, particularly in infill locations. Outdated floor plans continue to underperform in our rapidly changing world. 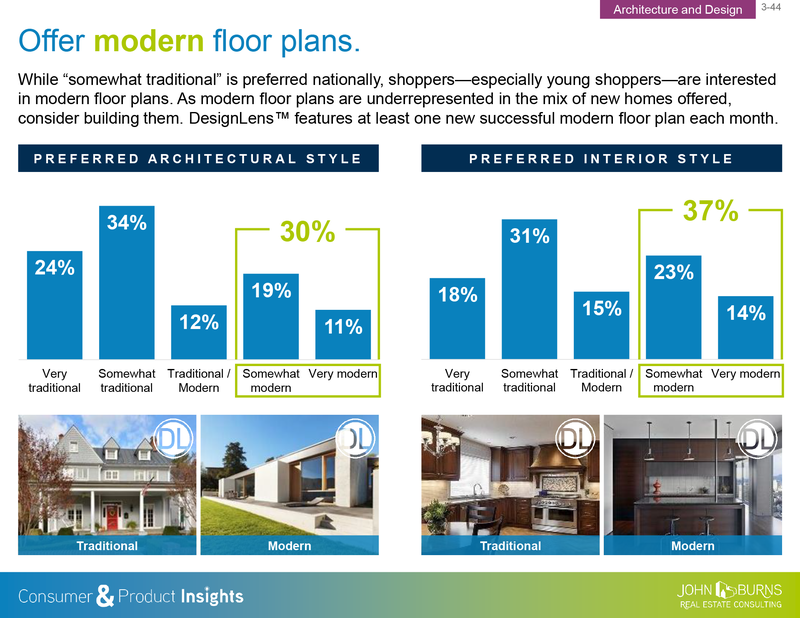 The following graphics from our 202-page 2018 Consumer and Product Insights survey of 23,000+ new home shoppers show the style preferences nicely. Consumer trends are changing rapidly. 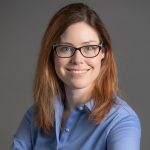 Builders and developers who don’t pay attention may save money on architectural and interior design fees but lose out on home sales and new home price premiums. We invest heavily in expensive data collection and analysis, with the intent of amortizing that cost over many of our clients. If you would like to benefit from the 9,000+ hours we invested in demographics research, 1,500+ hours we invested in Consumer and Product Insights Research, and the 100+ hours we invest in design trends research each month, please fill out this form. We will have the best person get back to you right away.